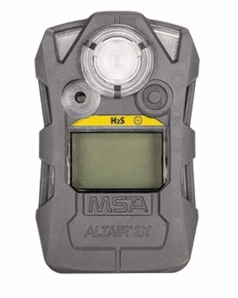 MSA Altair Single Gas Detectors are some of the most cost effective and rugged monitors available on the market. MSA 10153984 Altair 2XP gas monitor for Hydrogen Sulfide (H2S) detection, features first stand-alone bump test, which eliminates the need for bottled gas. Bump test anytime, anywhere and save big.